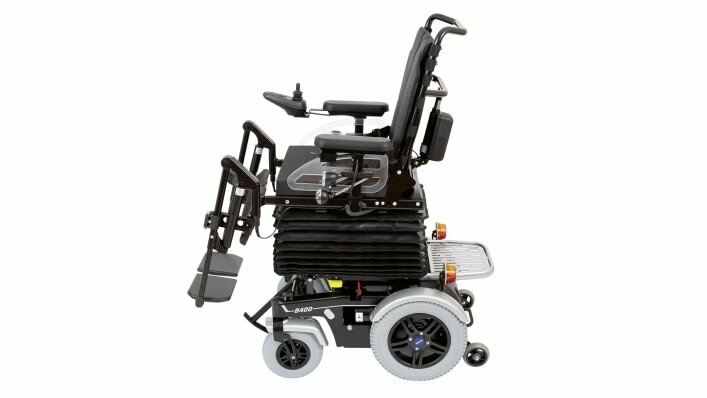 In the further development of a popular companion like the B400, the everyday experiences of users play an important role as well. The objective in revising the B400 was to complement the proven functions with new features, thereby making the compact companion even more comfortable and safe. 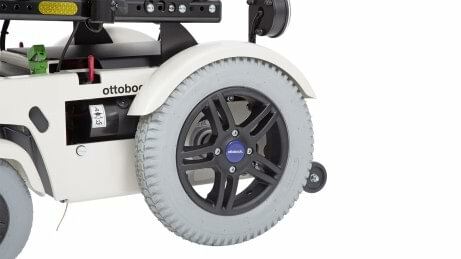 In addition to the purely technical changes, the power wheelchair's design has been renewed as well. It is now available in cream with brown lettering, and black with silver lettering. 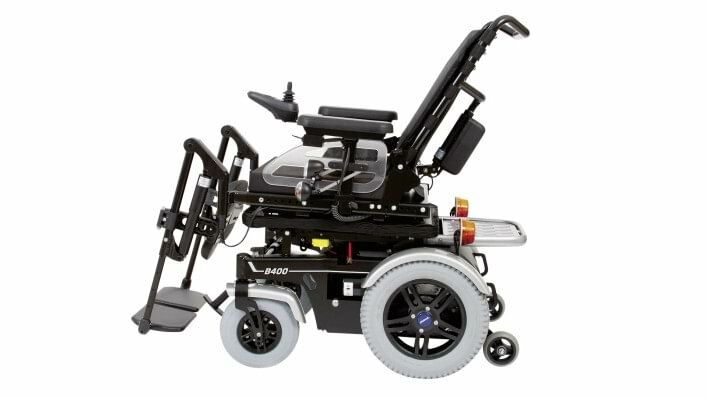 Naturally the B400 is equipped with the proven P&G VR2 control unit for adaptation to your individual requirements, and with the handy attachment kit for transportation in a vehicle. 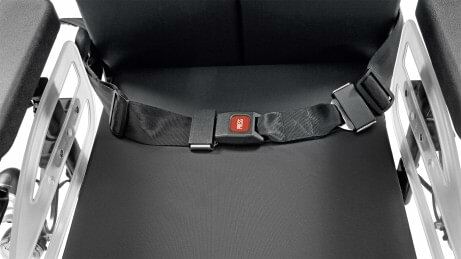 The Junior standard seat tailored especially to the needs of your child is new to the programme. This means the B400 is no longer just for adults and youths, but also an ideal everyday companion for children. 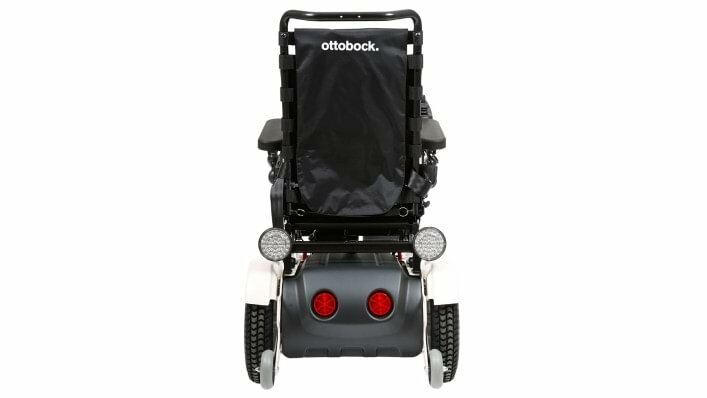 The LED front lighting available as an option is self-contacting on the B400, so there are no bothersome cables. This makes the side panels quick to remove and simplifies sideways transfers. You can choose the new designer splash guard for the B400 as an option. The colour of the splash guard is adapted to the frame colour – cream or black. 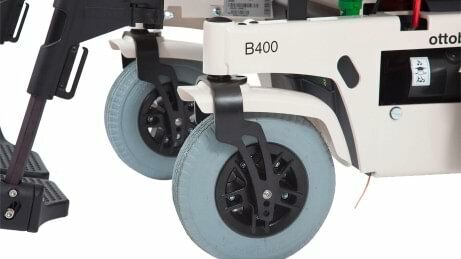 In combination with a 50 Ah battery, the B400 features drive wheel suspension for enhanced driving comfort. Next to our standardised control panel holder, the photo shows a swing-away control panel holder, which is available as an option.  This is particularly well suited if you want to manoeuvre close to a table for example. 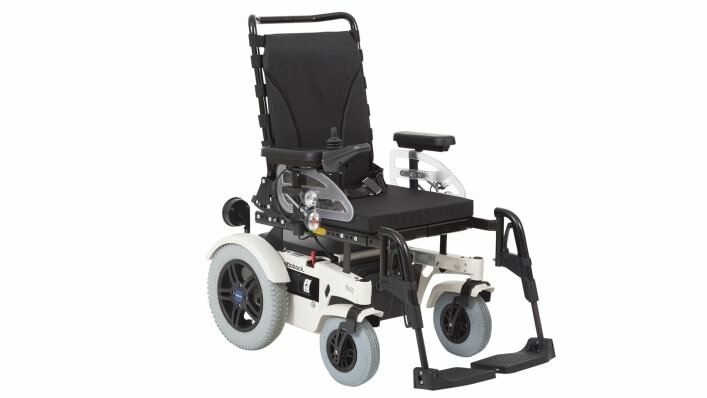 For your personal safety, all our B400 wheelchairs are equipped with a lap belt. 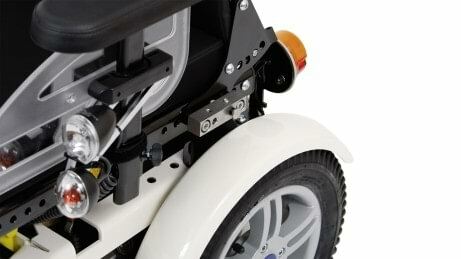 As part of the facelift, the caster fork was also revised to integrate with the modern look of the B400. Inside or outside, with the B400 you are always on the right path. Thanks to its compact and stable design, this small all-rounder is ideal for everyday requirements – at home, shopping or in a restaurant. 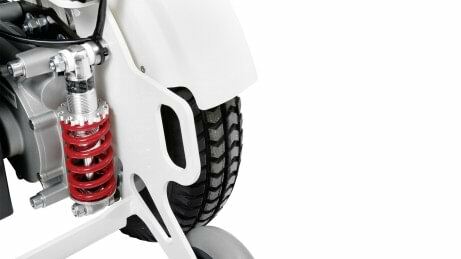 Thanks to its compact overall size of just 580 mm, it can pass through even the narrowest corridors. The low seat height of 450 mm means sitting at tables, desks and work benches is no problem. With our extended selection of sizes, contours and protective covers for your contour seat, you get more seat design options for your B400. 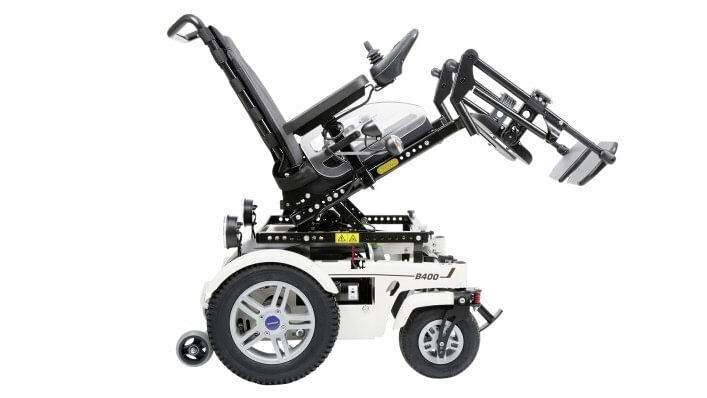 Depending on your needs, you can choose the B400 with 20° mechanical seat tilt or 20°/45° electric seat tilt with centre of gravity shifting. 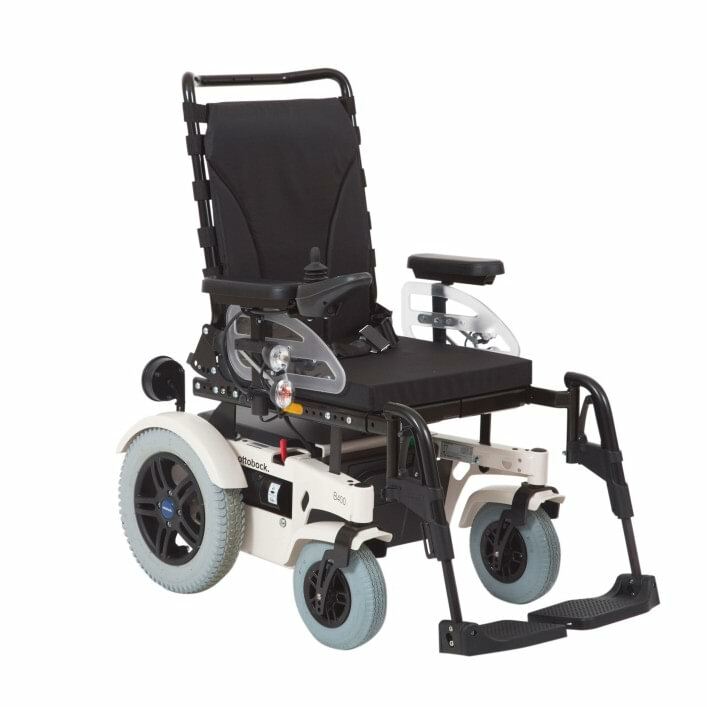 The B400 is available with optional seat height adjustment up to 20 cm. 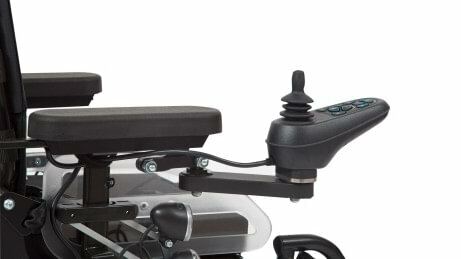 You can choose between mechanical and electric back angle adjustment options. Both options feature an adjustment range up to 30°. 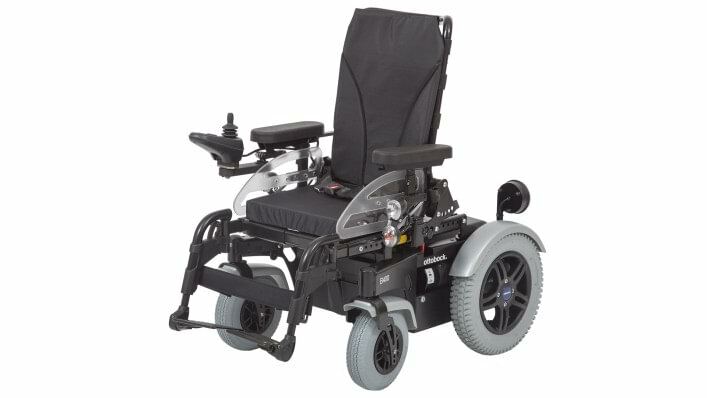 With the B400, you can choose between a standard and a contoured seat. A standard Junior seat is new to the programme, making it possible for children to use the B400 as well. 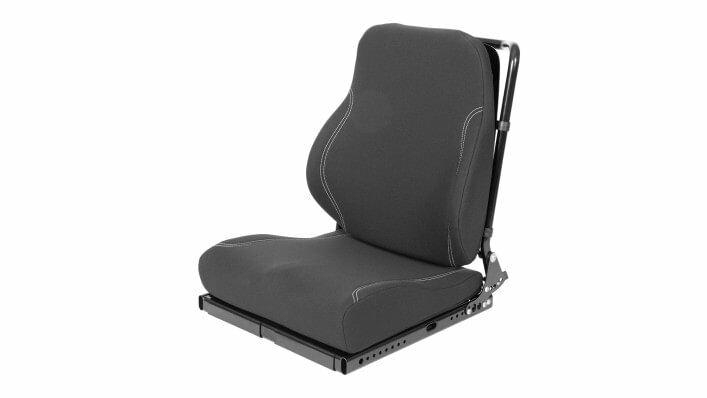 The B400 is offered with a standard seat cushion. You can choose this from our broad selection of seat cushions.